I found this on apartmenttherapy.com. 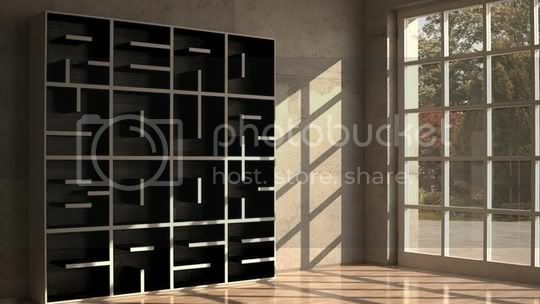 It's a bookcase you can read! I like the way the letters create lots of interesting little nooks. This would work well for folks who have lots of different sized books in their collections, from large art books from to tiny gift books. Plenty of room for decorative tchotchkes as well. I love this, I think it's so neat. Thanks for sharing! In actuality, I picture people using it to spell out the name of their kids, which I think is a bit corny. But I love this reading message. I think it would look even cooler with books in it. Wow, how fun! I love creative pieces of furniture.